Back in June 2012, the GMAT launched the Integrated Reasoning (IR) question. 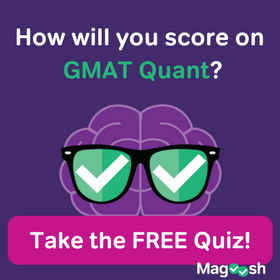 At the time, there was a panic among GMAT test-takers, and GMAC saw one of the largest peaks ever in number of GMATs taken, just before June, 2012—all the folks who wanted to avoid this then-brand-new question! In 2013 and 2014, adcom saw a large number of these pre-IR GMATs, but by 2016, the number of these has dropped significantly. 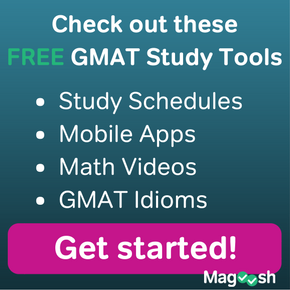 Almost every official GMAT adcom sees now is one with Integrated Reasoning. GMAT integrated reasoning sample questions and IR practice are now an important piece of GMAT prep. This question is here to stay. The GMAT Integrated Reasoning question formats are highly dependent on technology, and unlike traditional Verbal and Quantitative questions, these would be too compromised in a print format. Therefore, from the beginning, GMAC never put official Integrated Reasoning questions in the GMAT Official Guide: the official questions always have been online. 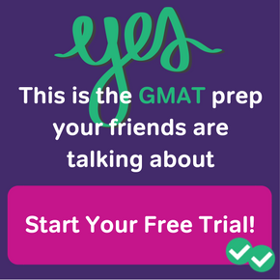 At first, a code in the back of the GMAT Official Guide would give you access to a separate site that just had the official Integrated Reasoning questions. 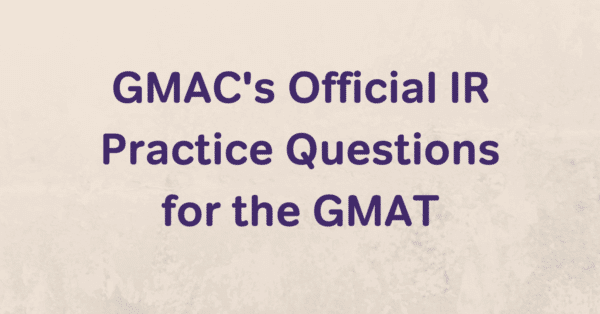 Starting with the OG 2016, GMAC put all the questions in the OG online, in case you wanted to study them in an online format rather than in print format. When GMAC made this move, logically they put the 50 official Integrated Reasoning questions on the same website with the other questions. The code in your copy of the OG will give you access to that website. The Quant & Verbal questions on that website are identical to those in the printed OG, but going to that website is the only way you can practice official Integrated Reasoning questions. If these are unfamiliar to you, you can read about the basics in the Magoosh IR eBook. 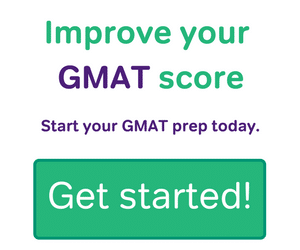 The official website and the actual GMAT itself appear to give questions of the four formats successively: that is, all the MSR, then all the TA, then all the GI, then all the 2PA. This is in sharp distinction to the Quant & Verbal sections, in which quant formats (PS & DS) or verbal formats (RC & CR & SC) are freely interspersed. We do know: eight of the 12 questions will count, and the other four will be experimental questions. We do know: whatever block of 8 questions counts, those 8 questions will have the same distributions of question for all test takers. We don’t know what that distribution is: let’s say, just for simplicity, that it’s 2 MSR questions, 2 TA questions, 2 GI questions, and 2 2PA questions. That mix will count for everyone. Now, the four experimental questions don’t count, so they could be any mix of problems: it could be one of each type, or two of one type and two of another, or all four of a single type. Suppose Fred happens to get an IR section on which all four of the experimental questions are 2PA. 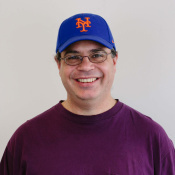 In the course of the 12 questions, Fred would see six 2PA questions: if he were counting, he would realize that the experimental questions would have to be 2PA, but think about it. He doesn’t start to realize something is unusually until he gets to his 4th or 5th or even 6th 2PA. At that point, he knows some of those 2PA questions had to be experimental, but he has no way of knowing which two count: the first two? the last two? the third and the fifth? Of course, of six questions, there are 6C2 = 15 different ways the two that count could be distributed among them, and all 15 of those scenarios are equally likely. The upshot is: even if you have an inkling that you are getting more of this question than that, you always have to treat the question in front of you as if it counts. Also, let’s talk a little about this word “question”—we say the website has 50 practice “questions” and the IR section has 12 “questions,” but I would argue a more accurate term would be “screens.” The website has 50 screens, and the IR section of the GMAT has 12 screens. Each screen will be one of four formats—MSR, TA, GI, 2PA—and almost every screen has more than one question on it. Rather than talk about how many questions within each question, for clarity, for the remainder of this post, I will refer to each “screen” and how many questions on that screen. Here’s a little of what we can glean about the four screen formats from the 50 IR practice screens on the website. Finally, remember that there is no partial credit on the GMAT Integrated Reasoning. If there are multiple tasks on a single IR screen, you must get every single task on the screen correct to earn credit for that screen. This is the only of the four types in which the same content appears across multiple screens. For every other question format, all the relevant content appears on one screen, and none of that content appears on any other screen. The information for a bank of MSR questions appears in separate “cards” on the left side of a split screen, and the questions appear on the right side, much like Reading Comprehension. The same set of cards is present for 3-5 MSR screens, again, much like a RC passage. At least one card is all text, and sometimes all the cards are all text. A card may also contain a graph, a chart, a table, or even a mathematical formula relating ideas discussed on other cards. As a general rule, most of the questions can only be answered by combining information from different cards. Some MSR screens have a single five-choice multiple choice (MC) question: on the whole Integrated Reasoning section, this is the only screen type, the only question type, on which there is only one question on the screen. The others, in fact, the majority of MSR screens, have what I call Multiple-Dichotomous Choice (MDC) question designs. A dichotomous choice question is one that has only two possible responses (yes/no, true/false, etc.) The GMAT Integrated Reasoning MDC design has three such questions in a table. Here’s an example of a frivolous MDC, just so you can see the design. Each row is a dichotomous choice: we have to give one of only two choices as a response. Of course, the answers to this playful MDC are “helps” in the first two rows, and “doesn’t help” in the last row. This MDC question depended on general knowledge, whereas the MDC questions that appear in the MSR format will depend on the information on the cards. If the IR screen contains a set of MDC questions, you must get all three correct to get credit for that screen. Here’s an Integrated Reasoning Multi-Source Reasoning practice question. Each IR Table Analysis screen contains a verbal prompt and a sortable table, that is, a table you can put into ranked order by any column. Tables typically have 5-8 columns. The GMAT loves to have some columns that give data about ranking: for example, the table could have one column that lists the actual areas, in sq miles, of counties, and another that lists the rank of the area in terms of the world—the United States of America has an area of 3.8M sq miles and rank of 4th in the world. Every table appears just once, on one screen, with a set of MDC questions, always three individual questions, as above. Once you answer those three questions and hit submit, that particular table is gone forever. Here’s an Integrated Reasoning Table Analysis practice question. Each GI screen presents a verbal prompt and a graph. The questions on a GI screen are in the form of two drop-down menus in a fill-in-the-blank format. That is to say, underneath the graph will be one or two sentences, with a total of two blanks: the student “fills in” the blank with a choice from the drop-down menu: the drop-down menus have 3-5 choices. The graphs can be of several different types, including bar charts (including clustered column and segmented column charts), scatterplots, and bubble charts. One more exotic type of chart is the numerical flowchart. Here’s a post with a single Integrated Reasoning Graphics Interpretation practice question, and here’s a set of IR GI practice questions. This question format presents some kind of prompt, and then a table. The table has three columns. At the top of the first two columns are the “questions,” and the possible answers to the questions are listed in the third column. The same set of possible answer choices applies to both questions. Often, the two questions are connected, in the sense that one must answer one to figure out the answer to the other. In some ways, 2PA is the most flexible of the four question formats. Individual 2PA screens can be purely verbal (similar to RC and CR questions) or mathematical. This post gives a single Integrated Reasoning Two-Part Analysis practice question, and here’s a set of IR 2PA practice questions. See also: Is the GMAT Integrated Reasoning More Important Now? Editor’s Note: This post was originally published in July of 2012 and has been updated for freshness, accuracy, and comprehensiveness.